After leaving INQ Mobile in 2011 I began contracting for Orange, the international mobile operator, based in its London office. The bulk of my work during my time there was spent helping to develop a comprehensive style guide, which was first done for mobile applications and later for desktop. 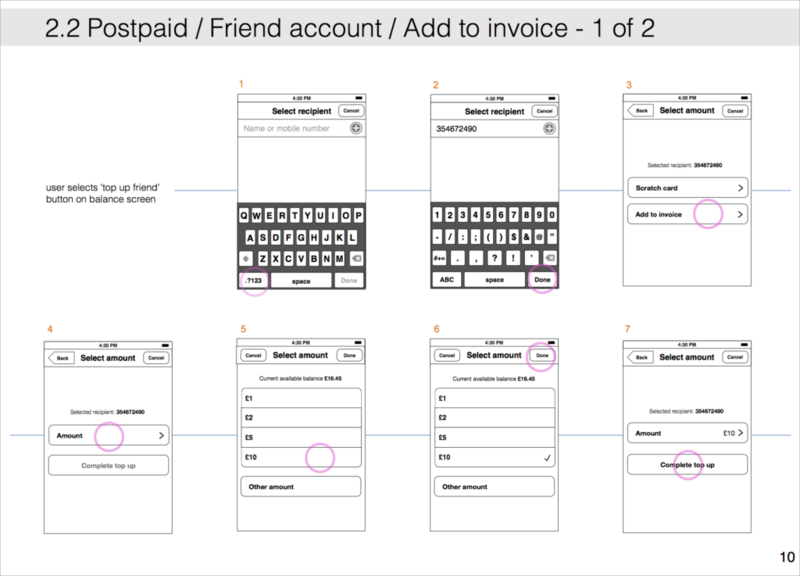 In addition I also helped with UI design for an iPad app, as well as UX wireframing for an iOS money transfer app. This is a snapshot of the design patterns I helped to define whilst at Orange. 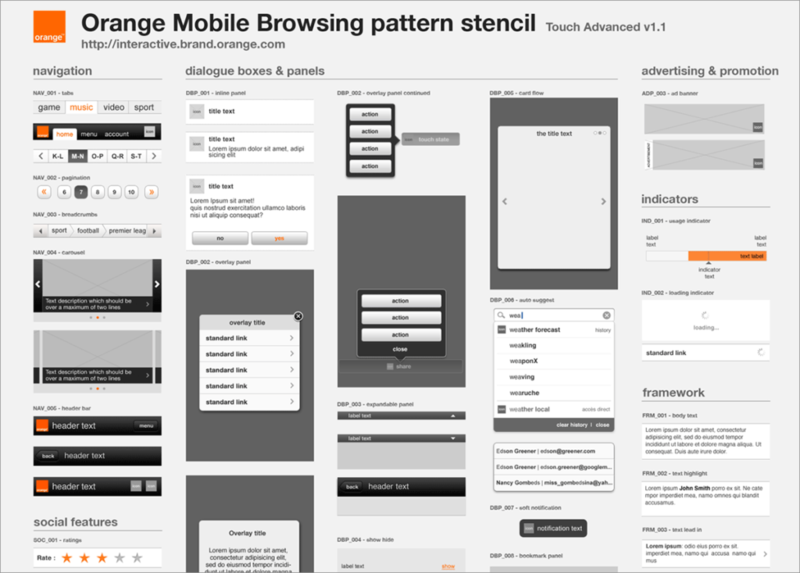 Initially we worked on patterns for mobile use but later this was extended to desktop specific patterns too. Detail of one of over 40 design patterns I worked on whilst at Orange. Many of the patterns had at least one variant. Detail of a web-based email client on which I worked (primarily UI tweaks) whilst at orange. 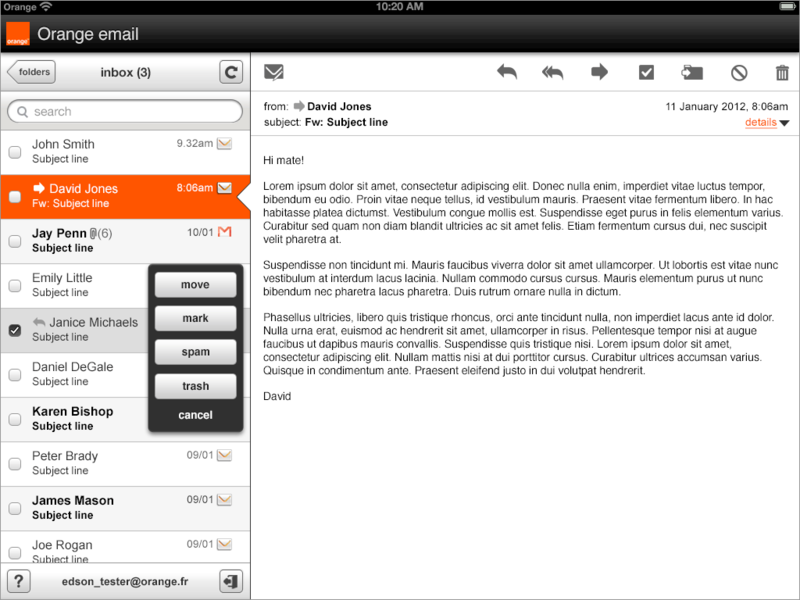 Another view (this time portrait) of a web-based email client I worked on at Orange. 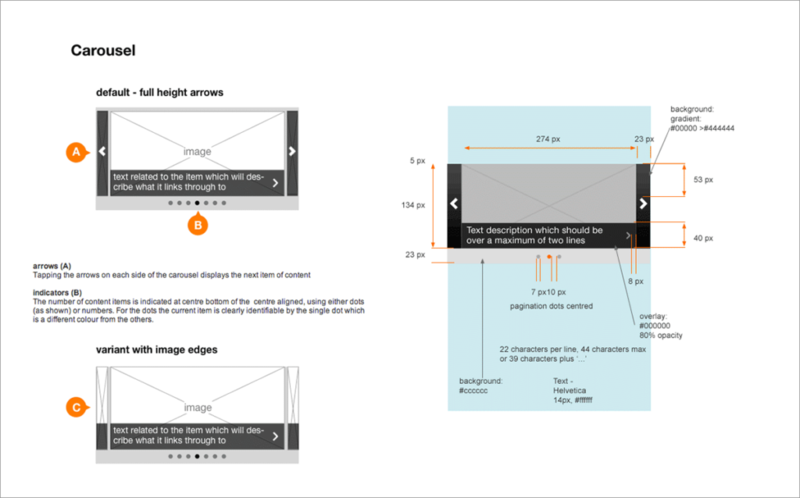 Detailed wireframes that were created as part of the design of a credit top-up application for Orange devices. 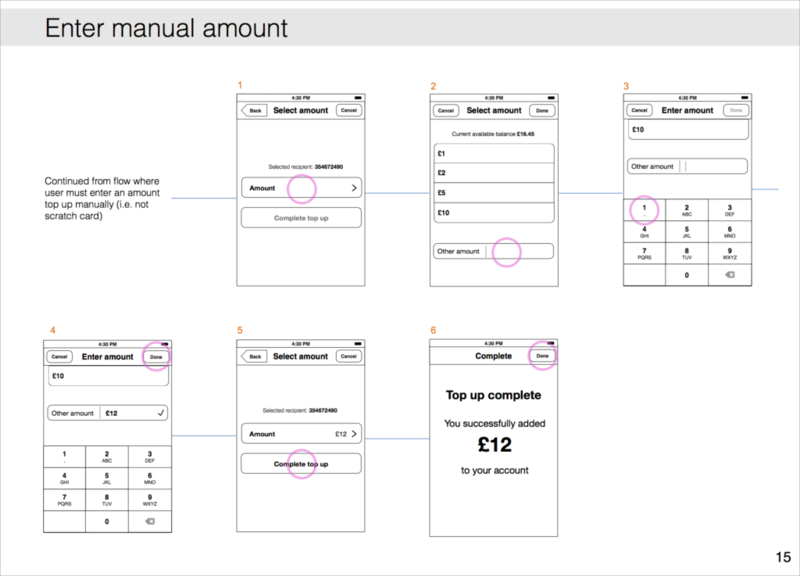 Another page of the wireframes created for a credit top-up application I helped to design at Orange.